If you’re looking for a relaxing Greek island getaway, Milos is the place for you! Like many islands in Greece, particularly in the Cyclades, Milos is the product of the area’s volcanic activity. Like Santorini, Milos is actually a volcanic island that surrounds a caldera. But despite their shared similarities, Milos and Santorini offer two completely different experiences. 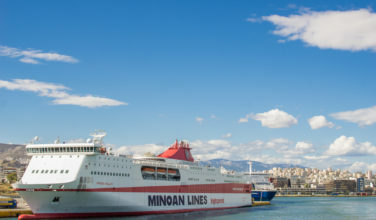 The biggest difference between the two is that Milos is a stunningly beautiful island that somehow doesn’t get the same amount of visitors each year. For those that do come here, Milos offers a completely relaxing experience. Here’s a list of some very good reasons why you should consider visiting this island. One of the most beautiful things about the island is its unique geography. Dubbed “The Island of Colors” by those who have spent time here, the island is characterized but its interesting rock formations and multi-colored waters. The island’s volcanic history is largely responsible for these unique features. As a result of this, Milos has some great beaches that are well worth exploring. Some boast great views of some of the more memorable rocks formations. All of them are fairly quiet and relaxing and free from the boisterous beach crowds that flock to some of the other islands on Greece. 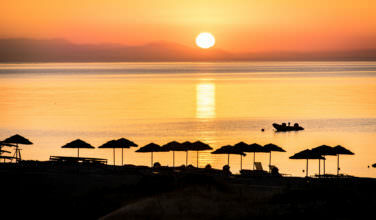 In particular, the Golden Milos Beach stands out as being one of the island’s best spots. The island also has some hot springs, which attract tourists and natives alike for their warm and healing waters. 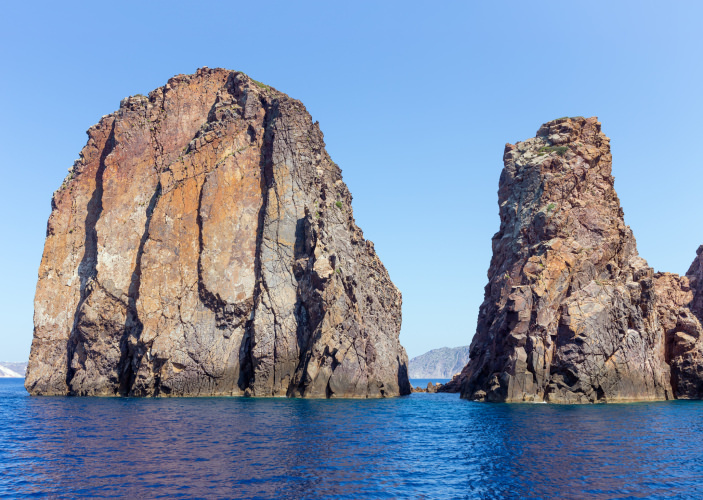 The thing that has really put Milos on the map, however, isn’t its geography – it’s a statue! The Venus de Milo sculpture, which is currently on display in the Louvre in Paris, originated here. It is believed to have been sculpted somewhere around 100 BC and is thought to depict Aphrodite, the Greek goddess of love. It is said that Alexandros of Antioch was the original sculptor. However, there is some debate as to the statue’s true creator. Even though you’re only able to view it in the Louvre, visitors are continually intrigued that the statue originated here and its discovery is celebrated on the island. Another thing that makes the island unique are its quaint, peaceful villages. 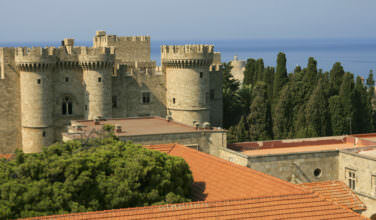 Pollonia stands out because it is a quiet fishing village that has a number of impressive beaches. There are also a few resorts here, which makes it a great place to base an extended holiday on the island. Adamas is best described as a “modern” fishing village with a lively waterfront culture. Come here to watch the fisherman peddle their daily catches and enjoy a fresh meal at one of the areas many seafood restaurants. 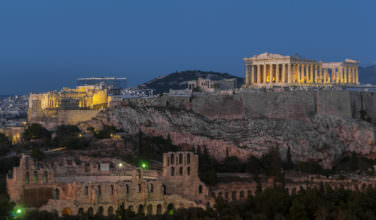 It’s also a good spot to enjoy some Greek island nightlife. Both Pollonia and Adamas have plenty of opportunities for shopping, as well. If you’re looking for a relaxing place to enjoy a Greek island vacation, don’t look much further than Milos! The enchanting and unique geography provides the perfect backdrop for a vacation on this serene island.